Machines are only as reliably available as their spare and wear parts. We therefore offer a comprehensive range of all important services. 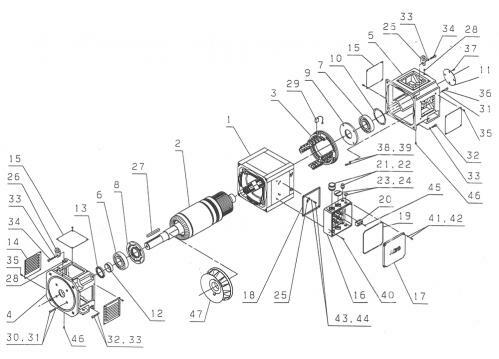 Thanks to our extensive archive, we are in a position to offer spare parts and services even for older machines from LDW, AEG and Garbe-Lahmeyer. 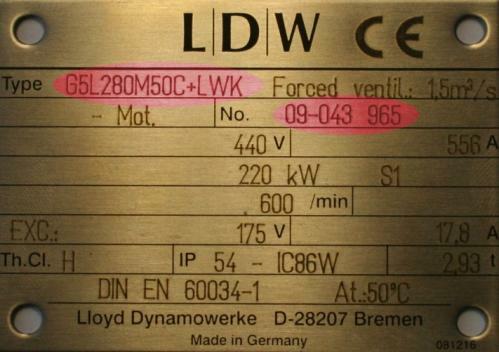 We only need the serial number of the old motor or generator to provide or manufacture the corresponding spare parts. Make use of our enquiry form or simply call us. Make use of our enquiry form or simply call us. We are happy to assist you. Please indicate the exact machine type and serial-no. of the machine in your inquiry. On the exploded drawing of the DC-Machine all components of the machine are marked and labeled. If possible please use these descriptions for your inquiry. You can find the exploded drawing and the appropriate descriptions in the attached pdf-file below.